It is remarkably ironic how Beethoven, no respector of persons, nor status, nor aristocratic ideals, managed to be befriended by so many aristocratic patrons who were perhaps drawn to him by his audacity in not conforming to either authority or tradition. Beethoven knew he needed the patronage of the aristocracy, even while criticising their old-world, non-democratic ruling structure, “enlightened despots” or no. One of Beethoven’s most important aristocratic patrons – perhaps the most important was Archduke Rudolph (pictured above), the youngest son of Emperor Leopold II. Rudolph began to study piano and composition with Beethoven in 1804, and Beethoven dedicated 14 compositions to him, including the famous “Piano Trio in B-flat major,” Op. 97, also known as the “Archduke Trio,” and the “Missa Solemnis,” Op. 123. Rudolph returned the favor by dedicating one of his own compositions to Beethoven. Count Andreas Razumovsky was also a patron of Beethoven, who commissioned the Op. 59, Nos. 1-3 “Razumovsky Quartets,” as I discussed in my last post. In the fall of 1808, the year of Beethoven’s famous grand concert on December 22nd, he received an offer from Napoleon’s brother Jerome Bonaparte, who was then the king of Westphalia, for a position as Kapellmeister at the court in Cassel. Beethoven initially accepted the offer to the surprise of at least three of his patrons. In a move unprecedented in the history of music, these three aristocratic patrons persuaded Beethoven to remain in Vienna at a pension of 4,000 florins per year, equal to about 2,240 US dollars. While that sum may seem small by today’s standards, we have to remember this was 1808. For some perspective, Mozart averaged about 2,500 florins per year, and that was from working – opera commissions, fees from publications, piano and composition students, etc. – not simply staying in Vienna. Mozart’s income in 1989 dollars from data provided by Moore (1989, p. 21) amounted a real wage equivalent of about $120,000 – a handsome sum even in today’s dollars. The three patrons who agreed to pay Beethoven were the Archduke Rudolph, Prince Kinsky, and Prince Lobkowitz, who had commissioned Beethoven’s Op. 18 string quartets, and to whom Beethoven dedicated his third, fifth, and sixth symphonies. Only Archduke Rudolph paid his share of the pension, while Kinsky died soon afterwards after falling from his horse, and Lobkowitz stopped paying in September of 1811, leaving Beethoven to rely on publishing his compositions along with his small remaining pension to make ends meet. The fact three royal patrons would have agreed to pay Beethoven a pension on the sole condition he simply stay in Vienna speaks volumes to what a powerful figure Beethoven was. The aristocracy did not generally “serve” the people they ruled over, and most certainly not in the extraordinary way they assisted Beethoven, who truly lived out this role reversal of the aristocracy requesting something so remarkable of a commoner, whom they clearly believed was not just an “ordinary commoner.” Indeed he was not. Mozart never found this kind of support from royal patrons that Beethoven did, although he was commissioned by Emperor Joseph II to compose the singspiel opera, “Die Entfuhrung aus dem Serail,” K. 384. He was also commissioned to compose the opera, “La Clemenza di Tito,” K. 621 for the coronation of Joseph’s brother Leopold II in 1791. He composed his three “Prussian Quartets,” K. 575, K. 589, K. 590, for the cellist King of Prussia, Friedrich Wilhelm II, as well as a piano sonata (K. 576) for the king’s daughter Princess Friederike. Mozart had intended to compose six string quartets for the king, but only completed three, and only one of what was supposed to be a set of six piano sonatas for the princess. He was paid for the sonata, but received no more of his promised fees, which is probably why he stopped work on the project. In the end, in a letter to Michael Puchberg, he said he had to sell his quartets to a publisher – those “difficult works for a mere song” as he put it, to meet his financial circumstances. In a letter dated September 30, 1786, Mozart tried to offer exclusive works for Prince Joseph Maria Benedikt of Furstenberg, who published three of Mozart’s symphonies, K. 319, K. 338, and K. 425, and the piano concertos K. 451, K. 459, and K. 488. Mozart had also proposed to compose exclusive works for the prince on a regular basis for a fee, but on this offer, Mozart was turned down. 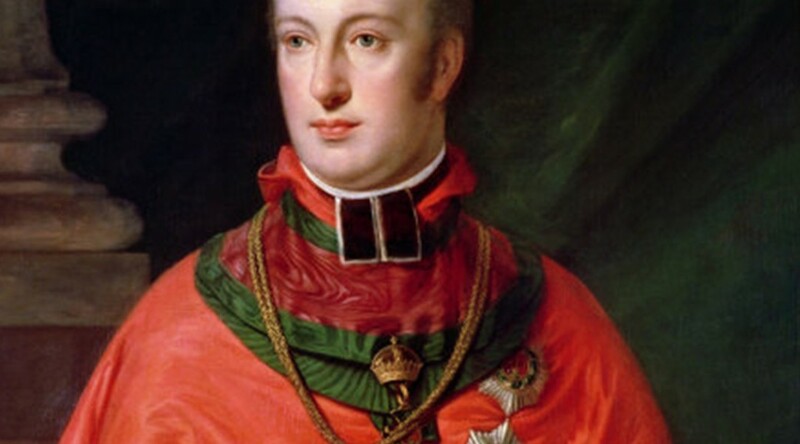 An incomplete letter dated May of 1790 reveals that Mozart was at least contemplating a petition to the Archduke Franz of Austria for the post of second Kapellmeister. Interestingly, Mozart in this letter states he is more qualified for the position than Salieri as stated in his letter, “…especially as Salieri, although very well qualified as a Kapellmeister, has never devoted himself to church music, whereas I have made this style entirely my own from my youth onwards.” In the end, even if Mozart did petition the Archduke eventually or Leopold II himself, it did not come to fruition. It may have been Mozart was simply too early in the historical timeline for the kind of support Beethoven would later enjoy from aristocratic patrons as a freelance composer. It may be Mozart was simply ahead of his time in trying to do what Beethoven was eventually able to do. Haydn beautifully and poetically expressed his feelings on Mozart’s value in being patronized as Beethoven was with the following words.. “If only I could impress Mozart’s inimitable works on the soul of every friend of music, and the soul of high personages in particular, as deeply, with the same musical understanding and with the same deep feeling, as I understand and feel them, the nations would vie with each other to possess such a jewel.” Had Mozart lived just a little longer, he would have become the next paid Kapellmeister at St. Stephen’s Cathedral, and may well have enjoyed a similar kind of patronage Beethoven enjoyed, but it was not to be. The elderly Leopold Hoffman, the then current Kapellmeister of St. Stephen’s Cathedral, was quite ill at the time Mozart was taken on as an unpaid assistant at St. Stephen’s, but Hoffman ended up outliving Mozart by two years. It is also possible Mozart may not have been as good at marketing himself as was Beethoven. For whatever reason, Mozart never made the kind of lasting connections he needed for sustained financial success, and even Beethoven eventually had his pension cut due to recession and war with the French. Such is the life of a freelance composer – their income is up one day and down the next. While Mozart made large sums, he also had times he was very short on cash, as his numerous begging letters to his fellow Freemason friend Michael Puchberg bear witness to. As a freelance musician, there is no steady stream of consistent income. It is as true today as much as it was true in Beethoven and Mozart’s time, although composers are much better protected today by copyright laws and paid royalties for the performance, sale, and recordings of their works. Had Beethoven and Mozart had these kinds of financial opportunities, combined with their incredible production, especially Mozart with his operatic production, they may well have been if not rich men, extremely well off. While Haydn did well financially, he worked almost his entire lifetime as a court musician for the wealthy Esterhazy family – an entirely different situation than being a freelance musician seeking royal patronage from the outside as Mozart and Beethoven did. The time was perfect for Beethoven, who found a way to obtain sustained patronage from the aristocracy throughout his career. His overpowering personality, defiance of authority, and his undeniable compositional genius and pianistic ability combined with the spirit of liberty, fraternity, and equality of the French Revolution which swept through European society at the time in which Beethoven was coming into his own, just after Mozart died, created a perfect storm for Beethoven to take the musical world, and indeed the entire social structure – by storm.